Thomas Cook is removing around 300 customers from the hotel where one of its employees died, along with her husband, saying the circumstances of their deaths are 'still unclear'. It said it has received reports of a raised level of illness among guests at the Steigenberger Aqua Magic Hotel in Hurghada. "Safety is always our first priority, so as a precautionary measure we have taken a decision to remove all our customers from this hotel," it said. "We continue to work closely with the hotel and are supporting the authorities with their investigations." It said the hotel was last audited by Thomas Cook in late July and received an overall score of 96%. It is offering customers alternative hotels within Hurghada, or giving them the option to return home. "While we understand this is upsetting for those on holiday, we believe this is the right thing to do," it said. Reports emerged earlier on Thursday saying doctors in Egypt had claimed Susan Cooper, 63, who worked at Thomas Cook's Burnley branch, 'died of grief' hours after her husband John, 69, died of a heart attack. Chief of Thomas Cook UK, Ingo Burmester, had earlier issued a statement saying: "We are deeply saddened by the deaths of two of our customers while on holiday in Hurghada in Egypt, one of whom was a loyal and long-serving member of our Thomas Cook family. 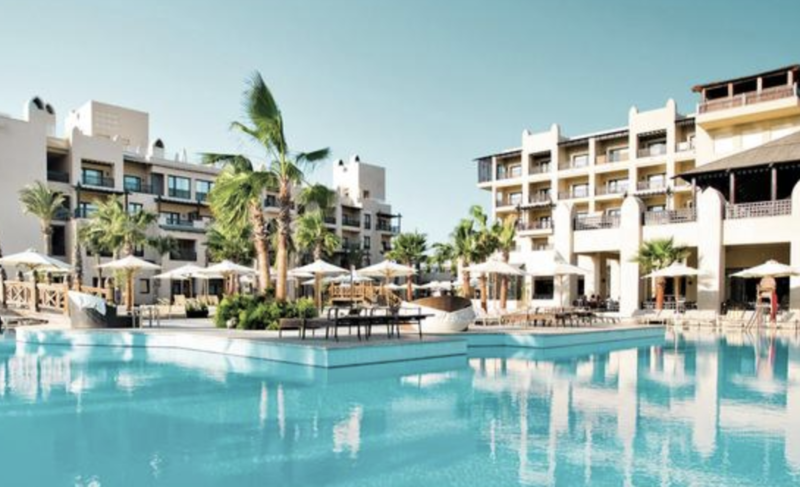 As well as moving guests already at the hotel, Thomas Cook is contacting customers due to travel to the hotel in the next four weeks to offer alternative holiday options. It could not confirm how many customers had booked holidays there. Local newspaper, the Burnley Express, said the Thomas Cook branch in Chancery Walk was closed for the day as a mark of respect. After news of the two deaths, several holidaymakers said they had been unwell. One guest, Alison Cooper, told Radio 4's Today programme on Friday morning her family holiday had been a 'disaster'. She said: "We have been ill for the majority of the holiday. It was reported to Thomas Cook and they told us there was no problem. "I have spoken to 40 families and they have all been ill.
"Every single person you speak to has had sickness, diarrhoea, feeling unwell."